Situated in the Chandrapur district of Maharashtra, Tadoba Andhari Tiger Reserve is one of the largest natural habitats for the Indian Tigers. Spread across a vast expanse of 1727 SQ KM, Tadoba national park has nearly 100 Tigers in its green forests. One should be really hard on luck to not spot a Tiger during the Tadoba jungle safari. And this is why Tadoba is today counted among the foremost tourist attractions of Maharashtra. 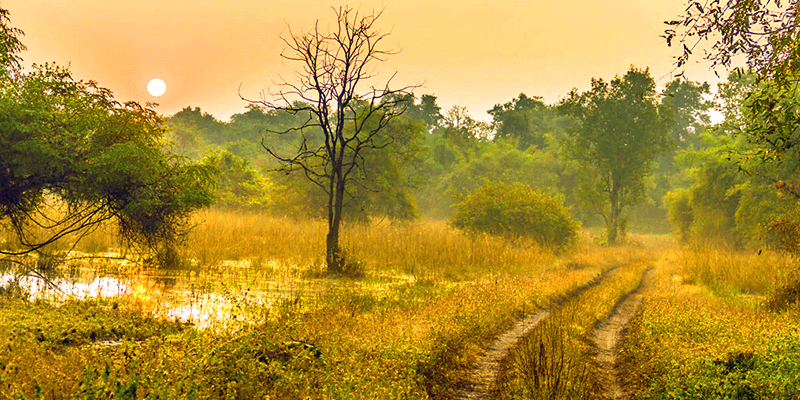 Winters are the best months to pay a visit to Tadoba tiger reserve. During this season animal sightings remain high and you can also appreciate the beautiful plants of the region. 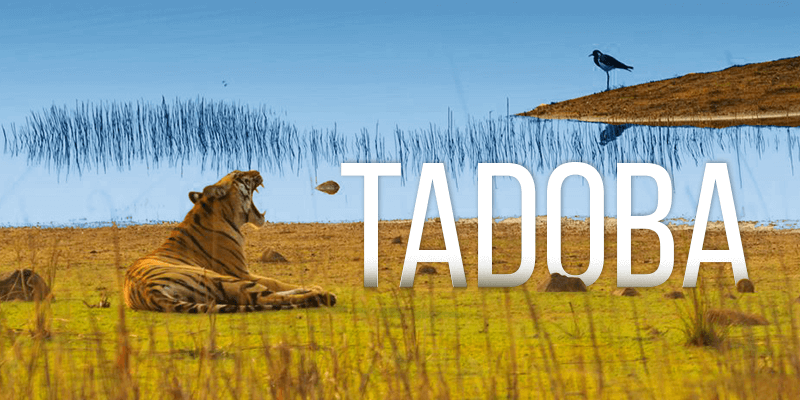 Are you already interested in Tadoba safari booking? Well, then there is plenty of helpful information here for you. NOTE: The Tiger reserve remains closed between July 1 and October 15. Onward journey: Frequent buses are available from Chandrapur to the gates of Tadoba national park. Back in time, the present day, hilly expanse of the Tadoba national park was ruled by the Gond kings. They used the Tadoba jungles for recreational hunting. But in the 1935 hunting was completely banned in the area. While touring through the Tadoba tiger reserve you may come across an Adivasi shrine. 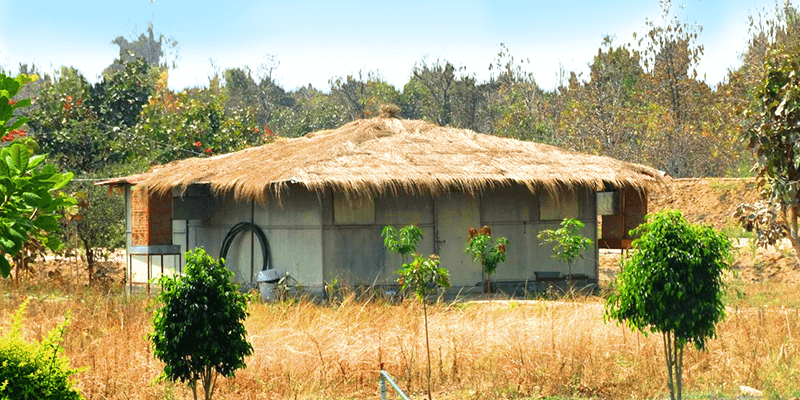 Situated on the banks of Tadoba Lake is the shrine of God Taru, who was a tribal chieftain. Taru killed a Tiger single-handedly in a mythological encounter. The tribes of the area hold this shrine sacred and there is a grand festival held at the shrine in the month of December and January. This festival is the best time to witness the tribal customs of the area. Apart from this, you might feel curious on witnessing a string of ancient pillars spread across the national park. These pillars once had bells attached to them and served as means to warn the tribal folks when outsiders entered their sacred forests. 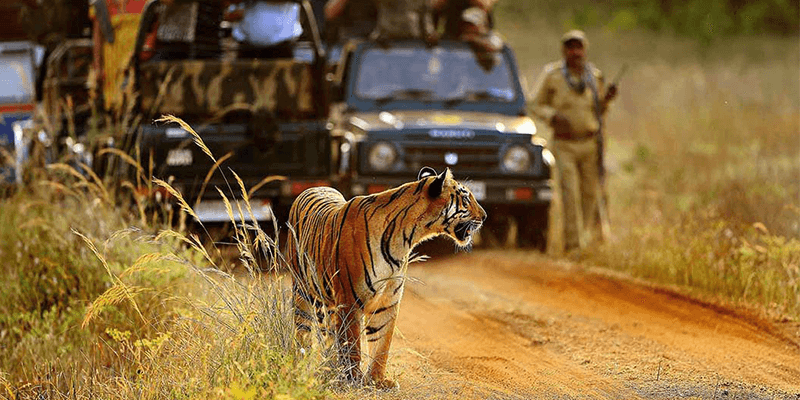 Jungle safaris are the star attraction of Tadoba. Safaris are organized in open-hooded jeeps. Tadoba safari booking is available for morning and afternoon shifts. And both these timings have their own charms. While the morning shift starts at 6-6:30 AM, when the jungle is still filled with animal calls. The evening shift (starting 2-3:30 PM) allows you to experience the jungles wearing a shroud of darkness. During your safari tour you would of course look forward to an encounter with the Indian tigers, but there are many other animals which might attract your attention as well. You might easily come across Indian leopards, gaur, nilgai, dhole, sloth bears, sambar, barking deer, chital, striped hyena, small Indian civet, jungle cats, chausingha and honey badger. The marshes near Tadoba Lake are breeding grounds for Marsh Crocodiles. The park is also home to 195 species of birds, whose chirps would sound more soothing than the playlist on your smartphone! Moharli Gate: The oldest of all, this gate is opened for a single safari round. Only 2 safari rounds are allowed through this gate in a day. It is also the best gate for animal sightings. So, you should book safari tours in advance to get entry through the Moharli Gate. Pangdi Gate: This gate is situated in the Kholsa zone of the national park. Kholsa zone has risen to prominence in the recent years, with many female Tigers settling in the area. And you can easily find spot a female Tiger with her cubs after entering through this gate. However, only 4 vehicles are allowed to pass in a day through this gate. 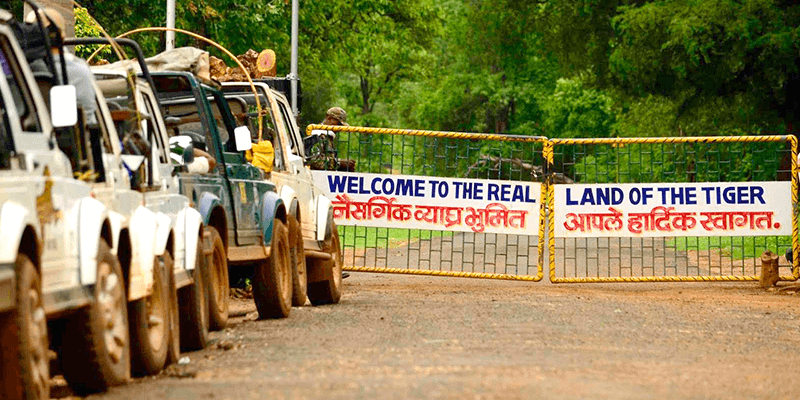 Zari Gate: This gate also takes you into the Kholsa zone of Tadoba Tiger reserve. Not long ago, tourists entering the national park through this gate reported to have witnessed as many as ten tigers! Apart from this, the natural beauty around the Zari gate is pristine. Only 12 vehicles are allowed to pass through this gate per day. 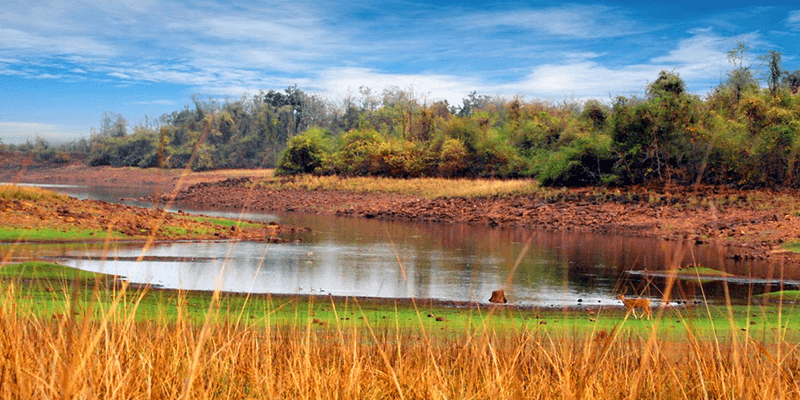 Tadoba Lake, situated within the national park, is the lifeline for animals. Nestled within the forests, this lake is situated in the central region of the Tiger reserve. It is surrounded by Teak forests. The shrine of Taru sits on the shores of this lake. This water-body is also home to the Indian Marsh Crocodiles. During the winter months, the lake is filled with huge population of migratory birds. Telia Lake, also situated within the Tadoba Andhari tiger reserve is also a beautiful lake. It is said that a trip is incomplete if you do not soak in the local flavors. And a trip to Moharli village would fulfil this requirement. This quaint little village is situated near the south western tip of the core area. There are many Tadoba resorts and hotels in this village. But a trip through the village gives you insights into the simple life of the villagers here and their unique customs. Mahakali temple is the main temple and icon of Chandrapur city. The presiding deity of the temple is Goddess Mahakali and devotees from far and wide pay a visit to this temple seeking the blessings. The temple has a distinctive Maharashtrian architecture. There are two finely decorated gates that lead you into the temple. The temple is only a short distance away from the Moharli Gate. Situated some 47 KM away from the national park are nine man-made caves. 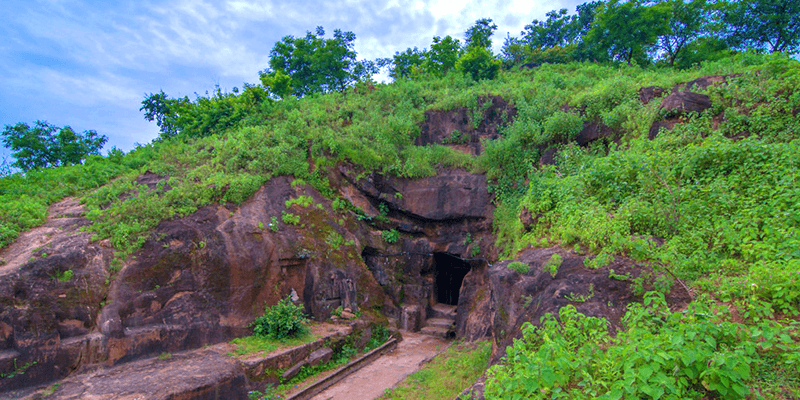 Chandrapur caves are believed to date back to the 8th century. These were used by the monks for meditation and accommodation. There are beautiful Tibetan sculptures and frescoes made on the ancient walls of these caves. 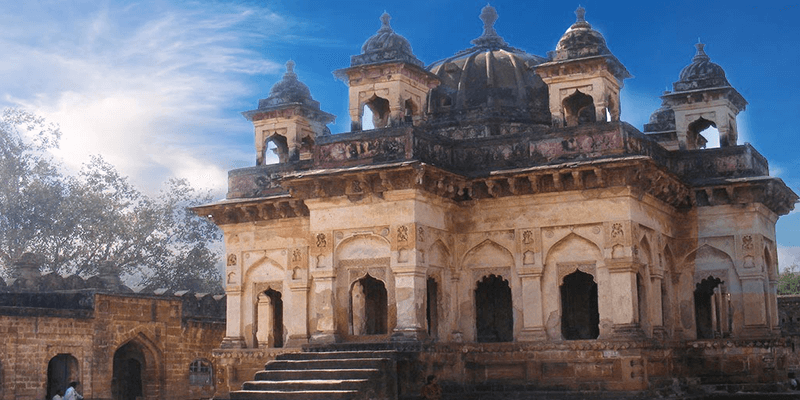 As mentioned before, Chandrapur was ruled by the Gond kings and about 50 KM away from Tadoba national park is a fine example of the Gond era architecture. Veershah Mausoleum was built in the early part of 18th century by Queen Hirai for her husband Veershah. 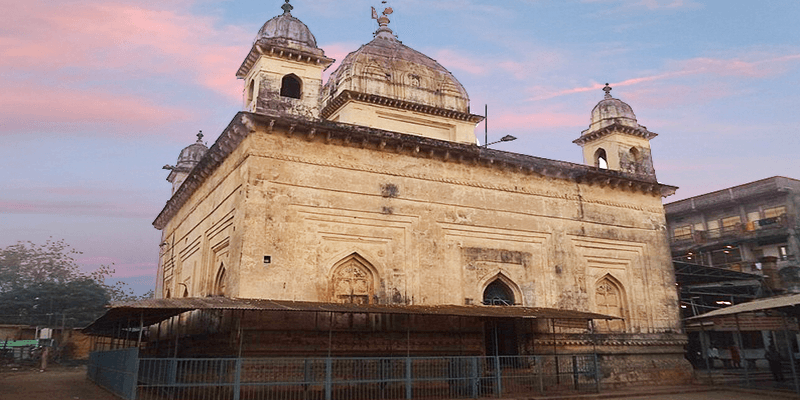 This is the biggest royal tomb in Maharashtra and is exquisitely designed. 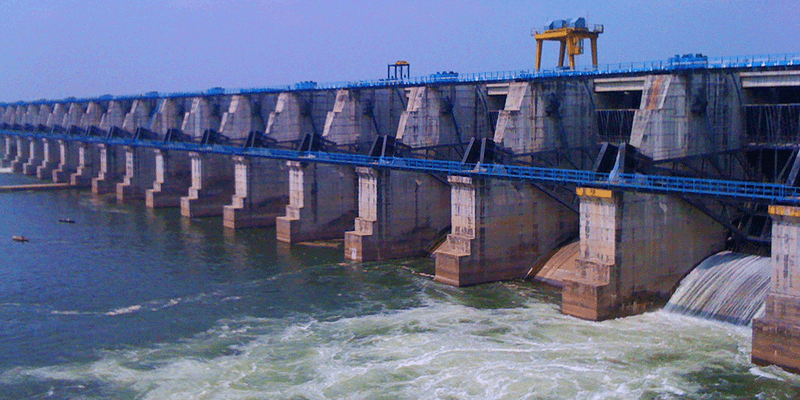 Erai (Irai) Dam is a gravity dam situated on Irai River and provides water to the Tadoba national park. Watching this huge dam pass gallons of water is a captivating sight and the shores of this dam serve as an ideal picnic spot too! If you have Tiger spotting on your mind, then Tadoba national park is the apt destination for you. With an ever rising count of Tigers, you would not be disappointed for sure! Next articleComplete Dehradun trip in 48 hours!